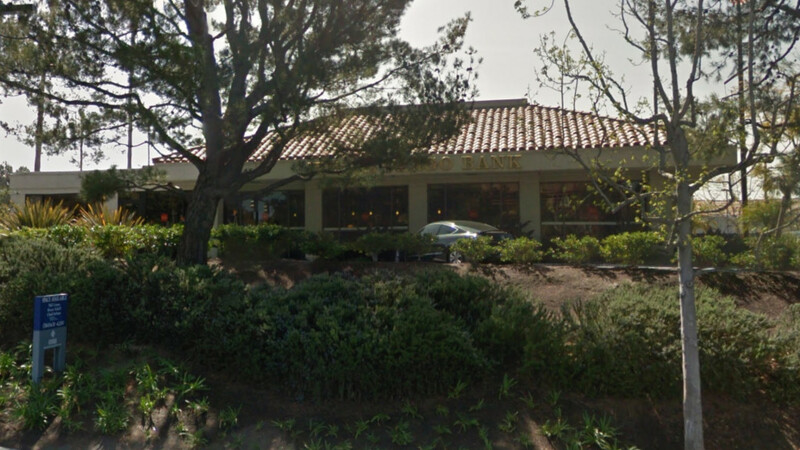 A masked man robbed a Carmel Valley bank of an undisclosed amount of money Thursday, authorities reported. The thief entered the Wells Fargo Bank branch office in the 3400 block of Del Mar Heights Road about 2:30 p.m. and demanded cash from three tellers, according to San Diego police. After the cashiers complied, the bandit left the bank and fled to the west, toward El Camino Real, SDPD Officer Frank Cali said. The robber was described as a roughly 5-foot-6-inch, 180-pound Latino who appeared to be 25 to 35 years old. He was wearing jeans, a blue sweat shirt, black sunglasses and a blue bandanna over his mouth and nose.